Product prices and availability are accurate as of 2019-04-18 13:25:35 EDT and are subject to change. Any price and availability information displayed on http://www.amazon.com/ at the time of purchase will apply to the purchase of this product. This Home Theater Wall Plate allows the connection of up to 5 speakers, 2 RCA subwoofers devices. 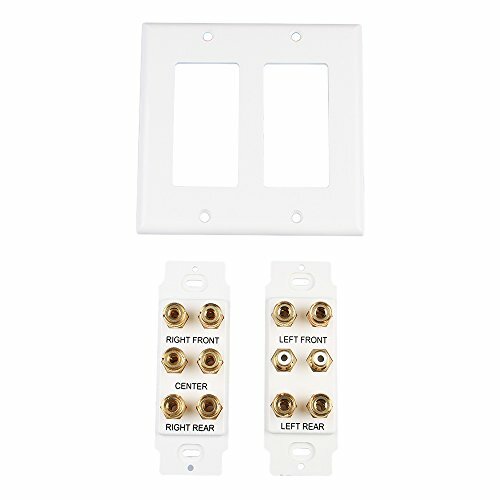 Cut down on cable clutter and make the back of your home theater system as attractive as the front with this premium speaker wall plate combo. 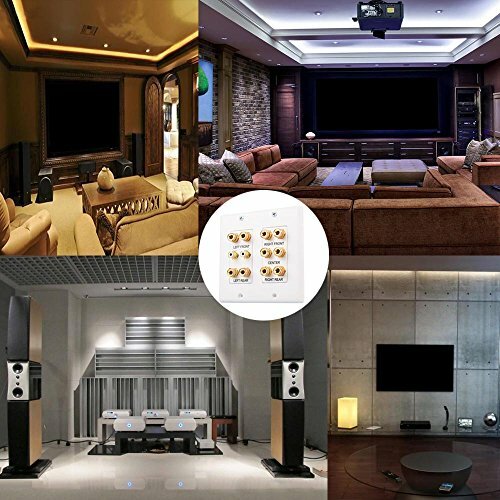 Create a compleltly organized and easy to use setup with an all-in-one wall plate that you can connect almost literally your entire home theater system into one wall plate. With 5 sets of open binding posts an additional 2 RCA ports for the subwoofer. These speaker ports are designed to work with banana plugs, spades or just plain bare wires. This is an ideal solution for hiding the cables running to your speakers sources without compromising sound or video. The mounting screws are even individually wrapped in a small plastic bag to protect the plates from scratches. Installation sites include offices, homes, hospitals, schools, home theater etc . 1. Applying Scope: 5.1, 5.2 channel speaker systems. When you receive our product, please check it. If you have any concerns about our products or service. Please feel free to contact us through Amazon email system and we will do our best to serve you. To see other accessories for wall plate. Please click on our store. Allows connection for up to 5-pair speakers and 2-port subwoofers. 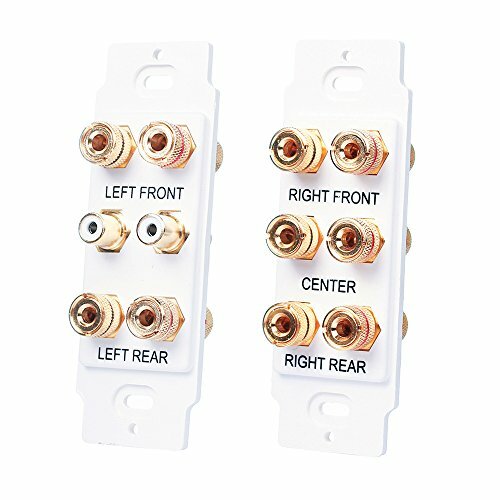 This ideal addition for your home theater speaker wiring setup that works with AV receivers and audio players that supports 5.2 surround sound speaker setup. Reduce cable clutter, so that the back and front of your Home Theater wall plate so attractive. Built with high quality gold plated copper connectors that resist oxidation and corrosion. 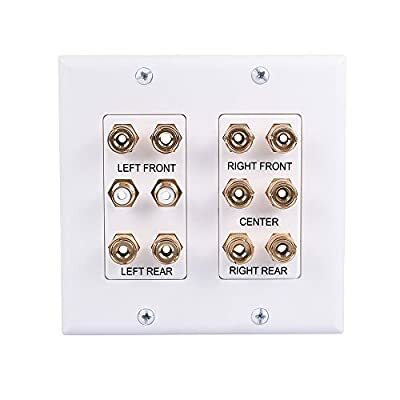 Standard 2-gang wall plate. Easy to install and no soldering. The package is equipped with mounting screws. To see other accessories for wall plate. Please click on our store.